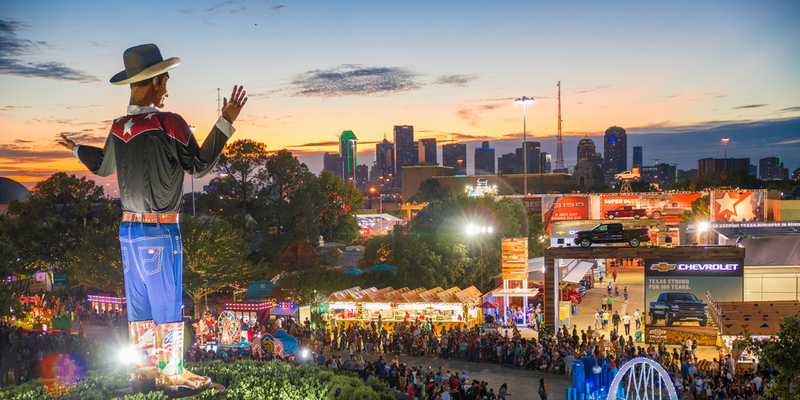 Since its establishment in 1886, the State Fair of Texas has celebrated all things Texan by promoting agriculture, education, and community involvement through quality entertainment in a family-friendly environment. As a non-profit organization, the Fair serves as an advocate for the community through its commitment to preserving Fair Park and continuing to build upon its legacy as a National Historic Landmark. At 24 consecutive days, the State Fair of Texas is the longest-running fair in the nation, as well as one of the largest. Get to your beer break quickly with our guide to the fair's best drinking holes. Five events to put on any car enthusiast's calendar. The hottest in Latino live entertainment on the country's biggest stage! Cooler weather makes fall in Dallas the best time of the year to visit. Make this month one to remember! Come for the corny dogs, stay for the music. Bundle up in your favorite sweater and grab a pumpkin-spiced latte – Fall has finally arrived!